Guests can enjoy the start to the day with a great breakfast in the company of friends from the lodge. 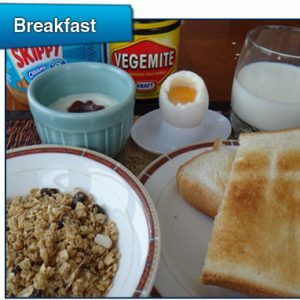 Breakfast is setup in the dining areas of both Ramat and Snowgum lodges from 7am-9am. See below for a list of food available.